Alfa is hoping to make its mark in the US this year. The much-anticipated Alfa Romeo Giulia sedan finally went on sale in the US last December, but you wouldn't know it judging from these sales figures. 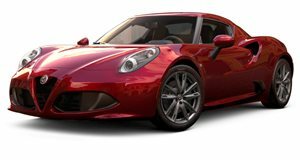 According to Fiat Chrysler’s sales report, Alfa Romeo has sold a whopping 29 models so far in the first month of sale. Those numbers aren't exactly earth shattering, admittedly, but it’s worth noting that it comfortably outsold the 4C sports car – only 23 were sold last month, down by 59% compared to December 2015. In fact, the 4C is a notoriously slow seller in the US with only 480 units sold in 2016. To put things into perspective, the diminishing Dodge Viper outsold Alfa Romeo's current range last year, albeit by only seven cars. Still, it paints a picture of Alfa Romeo’s popularity in America. First shown in 2015 before going into production in Europe earlier this year, the Giulia represents an important step in resurrecting the Alfa Romeo brand in the US. 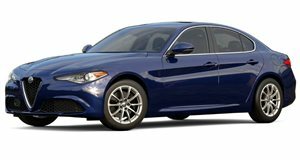 Three trims are available: the base level comes equipped with a turbocharged 2.0-liter inline-four engine producing 280 hp, while the mid-range Giulia Ti adds 18-inch wheels and interior features. The range-topping Giulia Quadrifoglio Verde comes with a 2.9-liter twin-turbo V6 producing 505 hp, along with 19-inch wheels and exterior and interior upgrades. Including destination charges, the QV will set you back $73,595 – that’s $10,000 more than a BMW M3. When faced with the decision to choose between the cheaper, more established BMW M3 and a brand that’s relatively unknown in the US, it’s easy to see why the Giulia is a slow seller stateside.